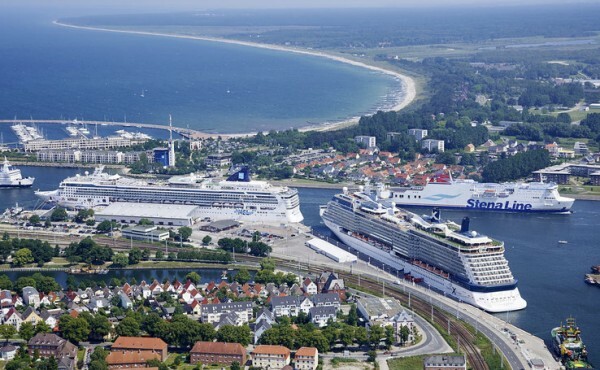 The Warnemunde Cruise Center in Rostock has reported 756,000 passengers for 2014. There were a total of 182 ship calls and 378,000 passengers (counted twice when embarking and disembarking), completing what the port called its most successful season. The last ship calling for year is the Marco Polo on Oct. 18. "Even though we had 16 port calls less compared to our record year 2013, more cruise tourists than ever came due to the larger passenger capacities of the vessels employed,” commented Ulrich Bauermeister, manging director of the Rostock Port Development Company. Of the 182 port calls by cruise vessels this year, 170 took place in Warnemünde and twelve at the overseas port. The largest vessel was the Royal Princess with a length of 330 meters and a gross register tonnage of 142,741. She is able to carry around 3,600 passengers and 1,350 crew. Ninety-nine of the calls were turnarounds mainly by the AIDAbella and the AIDAmar. 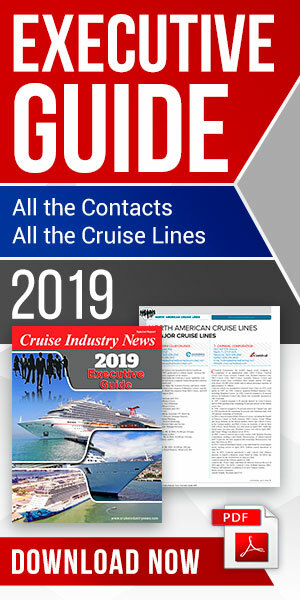 Of the 378,000 cruise travellers the majority this year were Germans, 133,000, followed by 61,000 Americans, 38,000 Brits, 21,000 Italians, 17,000 Spaniards and the same number of Canadians, 11,000 Australians and 80,000 tourists from 138 other nations. The ships also carried 137,000 crew members from 124 countries, more than one third of whom went on shore leave. "14 percent of all cruise guests in Warnemünde, that is around 52,000, went on a day trip to Berlin by train or coach this season," noted Bauermeister. "About 187,000 passengers set out to discover Warnemünde, Rostock or Mecklenburg-Vorpommern on day trips and 139,000 started and/or ended their cruise in our port." Based on a study by Rostock University on the spending behavior of passengers and crew members, the port said that the assumption is that cruise travellers and crew members spent at least Euro 16 million during the 2014 season, especially in local and regional shops, hotels and restaurants, on public transport, taxi rides and car parking in Warnemünde, Rostock and the surroundings. Adding to this is the revenue generated by the industry for coach operators, railway, travel agents for shore excursions, utilities, supply and disposal companies, shipping agents, pilots and port operators. Sixteen cruise ships availed themselves of the opportunity to discharge grey water directly from the ships into the public sewer grid during 88 port calls this year. In total 21,000 cubic meters of waste water were disposed of. Last season the number was around 30,000 cubic meters.